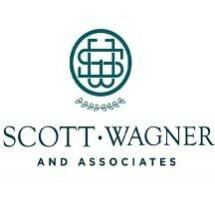 Serving both employees and employers alike throughout The Valley and the West Side of the Los Angeles metro region from our law office in Burbank, California, the attorneys at Scott Wagner & Associates, P.A., are here to help you with virtually any employment law or health care law need you may have. Widely regarded as one of the nation's leading labor and employment law practices, we have achieved notable success advocating on behalf of employees dealing with serious and complex legal matters, such as discrimination, harassment, wrongful termination, wage and hour disputes, and more. We also provide invaluable counseling regarding your employment contract, noncompete agreement, severance package or other similar matter, and we can help ensure you receive the health care benefits to which you are entitled. Likewise, employers can turn to our law firm for help and support regarding all employment-related issues, including contracts, handbooks, policies and procedures, and more to ensure you remain in compliance with all applicable state and federal laws, and we even offer effective training for your company for matters involving sexual harassment, FLSA and OSHA compliance and other regulatory issues. Do not trust your career or the future of your company to just anyone. You deserve to work with a team of highly experienced, dedicated attorneys who have your best interests at heart and who have a long record of successfully helping our clients achieve the positive results they expect no matter how complex their needs. For more information, you can contact Scott Wagner & Associates, P.A., by calling our law office or visiting our website to schedule a free initial consultation concerning your matter.